ENG: Hi friends! How are you today? Days are becoming shorter, there’s no so much sun like before. But we’re not getting upset about it, are we? Let’s enjoy last warm days. I’m not a big fun of leopard print; this scarf is maybe just one thing in my closet with such print. What about you? Do you like leopard on your clothes? I’m looking forward to know your opinion! RU: Всем привет! Как ваши дела? Дни становятся короче, солнечного света все меньше и меньше. Но мы не расстраиваемся по этому поводу, не так ли? Давайте просто наслаждаться последними теплыми деньками. Вы знаете, я не особый фанат леопардового принта; это шарф — единственная подобная вещь в моем шкафу. А вам нравиться дикая кошка и ее интерпретации? Поделитесь своим мнением! TR: Merhaba arkadaşlar.Bugün nasılsınız? Günlerin azaldığı, güneşin eskisi gibi parlamadığı bu günlerde umarım sonbahar geldi diye hüzünlü değilsinizdir.Azda olsa hala güneş var.Bu günlerin keyfini çıkarın. Leopar desenli giysileri seviyormusunuz? Ben çok delisi değilimdir. Belki evimde tek leopar desenli atkım bu.Ya siz ne düşünüyorsunuz? Like always your pictures are so beautiful and I am a fan of leopard prints as well!! I was thinking the same thing when I was driving at 5:30 pm and it was dark outside and when it gets dark you dont want to do anything even though the day is not over but I will try to stay positive this year. Дикая кошка получилась великолепная! Каждый новый образ восхищает и удивляет! Очень красиво в шляпе.Целую! awww, you look so beautiful when you smile Viktoriya! :) your scarf is so lovely! Love this makeup and the hat is amazing! You absolutely stunning! Great pictures! And I love this hat :)! Lovely outfit, specialy the sacrf and hat. Как всегда потрясающий образ и фотографии. Я очень люблю леопардовый принт) шарф замечательный! So pretty. I love your red lips. beautiful look, your scarf is awesome! Totally LOVE the hat and scarf, Viktoriya. You always look so amazing. Great scarf in such a rich colour combination. I like a touch of leopard print - I too have a couple of scarves and ballet flats. You look lovely! Loving your scarf! Awesome outfit!! You look fabulous! Love that hat!!!!! go girly!!! I really love animal prints. Great. Have a nice day. amazing look dear! you are so pretty! 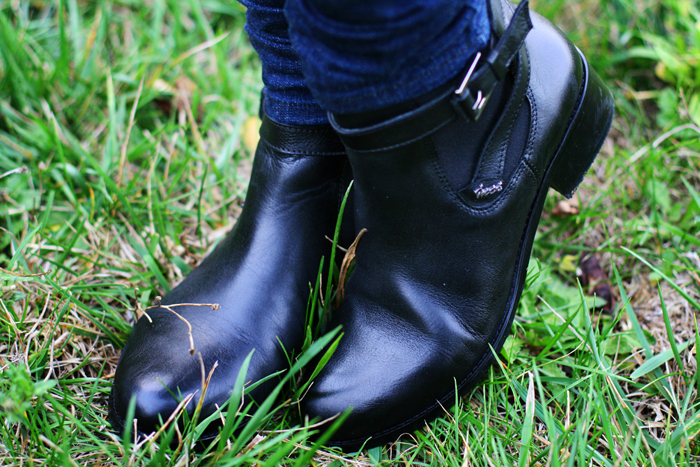 i'm in love with your booties! OMG, you have the prettiest smile! I love that you were bold with the scarf and your makeup, always a plus in my book. I love leopard, especially in neutrals, woot woot! You're absolutely stunning! So beautiful! love your look totally! I love your leopard scarf. It does not overpower your outfit. Have a good day! So cute! Love your trench and that hat! & that lip color is perfect with your beautiful hair! Love your scarf and your trench and hat are so lovely too. It's a great outfit. Виктория, леопардовый принт может быть вульгарным, но на тебе смотрится бесподобно... Очень красивый образ - яркий, необычный, и очень гармоничный, стильный одновременно! Я в восторге! love this outfit! you're great, love the scarf with the trench :) kisses dear!! You look amazing dear! Love the scarf! I love your hat, shoes and nails polihs! Hello gorgeous! Personally I like leopard prints beyond reasonable, but I try to keep it on my accessories. Your scarf is beautiful btw, typically the kind of detail that I love! Great look! Crazy about hats right now! You look gorgeous! Love the hat and scarf. I really love your jacket and scarf!!! awesome! You look amazing! Love the scarf! and also like the hat! The scarf really gives colour to the outfit, and I love your hat! Gorgeous scraft ! I love leopard print so much <3 btw the colour of Your hair is amazing ! This just might be one of my favorite outfits of yours! 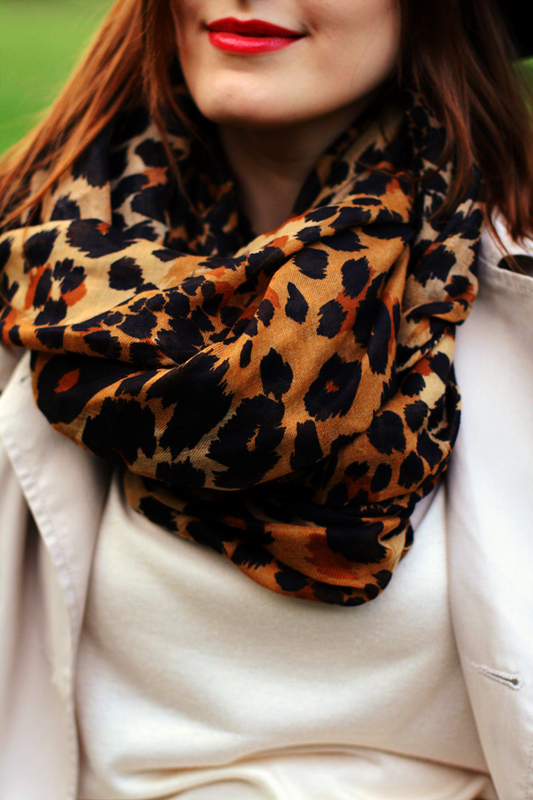 I love how the leopard scarf really stands out! The beautiful scarf and darling hat together make this outfit a 10 out of ten in my books. Love it! Thats a beautiful scarf! You are so pretty! I just started a blog and I would love that you and your followers could check it out! If you like it, Follow each other on bloglovin?? Love your gorgeous scarf! So pretty! I love leopard print, especially on accessories! Your scarf is so pretty! You look amazing! Very nice. Unfortunately I dont have anything in leopard print. Love the hat and scarf!You look gorgeous! 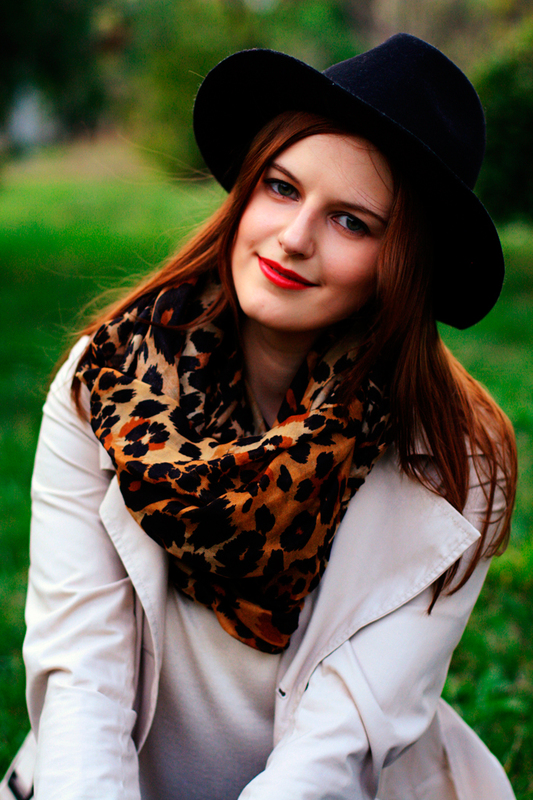 I am totally addicted to leopard accessories and u look great! Очень красивый уютный образ, шарф добавил изюминку..
you look amazing! the leopard scarf really completes the outfit! In the fashion catier pendents driven world, there is no dearth of fashionable accessories. However, they come with mens jackets exorbitant price tags. Here comes the significance of discount cheap gucci handbags in the picture. These discount handbags are classy for professional chanel classic bag women as they suit their flamboyant personality. They are inexpensive and stylish with a touch of excellence and uniqueness hermes bag outlet . Glamorous is the right word that describes the authentic designer handbags. It surely gives you a reason to celebrate special louis vuitton monogram canvas moments in your life with great élan.